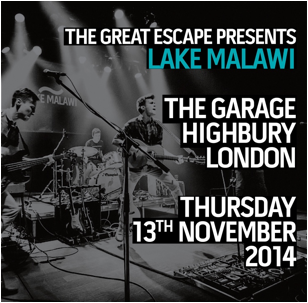 As the singer of MTV Award winning Charlie Straight, front man Albert Cerny’s new band Lake Malawi (named after the Bon Iver line “So it’s storming on the like,”) has already cemented itself as one of the fasted growing indie-pop outfits. Their last single Always June received support from both Amazing Radio and the BBC, while the band found themselves supporting Thirty Seconds To Mars at their Prague show in June. Taking a leaf out of the books of other vocally-focused artists Like Lykke Li and Passion Pit, Chinese Trees has this effervescent energy surrounding it that, while seeming very minimal in its songwriting, allows you to really get inside the song and take in every lyric. It is one of those rare pieces of music that breathes life into you as you listen, giving the track a very honest and genuine quality. Chinese Trees will be available for sale and download on 1st December 2014.